This is Part III. Part I of Humpty Dumpty is here. A slightly different version of this story was going to be the original pilot of the TV show I was working on in 2006. You can read about that story here. he good King and his men ride their horses outside the castle and visit the peasantry. The peasants cheer him on, throwing confetti and smiling as he passes. As he turns his head in their directions, they smile and bow. He waves in a matter most appreciative, sitting tall on his horse. A lovely young lady runs in front of his horse and throws flowers in front. He smiles directly at her and she bows meekly and blushes. The good King tries to tour the Kingdom at least once a year. He genuinely loves his people. He comes to the Humpty Dumpty’s fief and gets off his horse, walking his horse so he can be more on the same level as the peasants. “Fine day young man,” the good King says to a random peasant. “Fine day Your Majesty,” the peasant retorts, without making eye contact. “Couldn’t be better, Your Majesty?,” the frightened peasant replies. “I have heard the same, Your Majesty,” says one of the King’s men, with the same naivety as the King. Pleased with himself, the good King remounts his horse. The King’s men do the same. Once more, he takes one more look around the village. The villagers all feign their best faces. The King and his men couldn’t possibly be more oblivious. 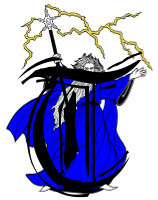 His Majesty rides off back to his castle with a pride and swagger about him. 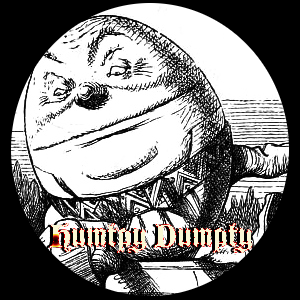 He regards Humpty Dumpty as one of his best Lords, as he’s yet to hear a complaint about him.